This collection of essays looks at the issue of human well-being from the point of view of environmental aesthetics. Questions addressed include: What role do aesthetic values have in advancing well-being? Are there environments that are particularly supportive of well-being? What is the place of aesthetic factors in environmental and city planning? 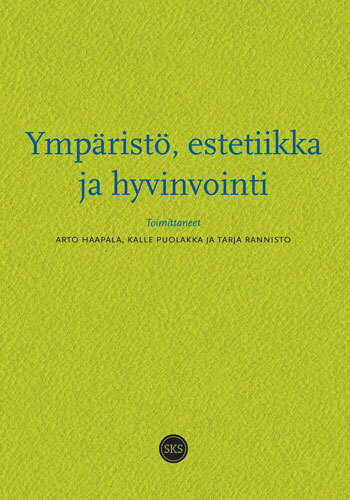 The authors of the first part of the book illuminate the relationship between aesthetics and well-being by discussing such notions and ideas as aesthetic well-being, interactive environmental planning, aesthetic quality in urban planning, aesthetic footprint, and ecological aesthetics. The authors of this part also engage with many topical questions in environmental and everyday aesthetics. For example, Yuriko Saito’s idea of green aesthetics as well as Allen Carlson’s science-based model of the aesthetic appreciation of nature are critically examined.